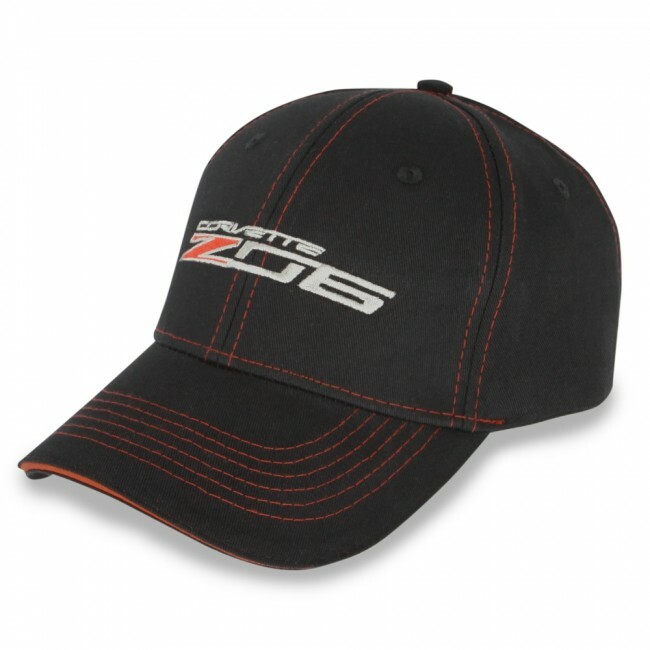 Cotton twill cap accented with red contrast stitching. 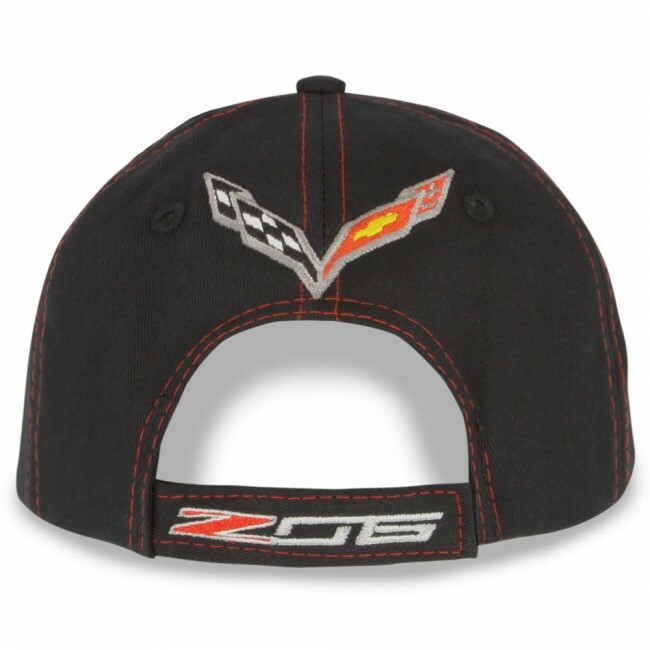 Embroidered Corvette signature and Z06 logo on the front, C7 crossed flags on the back and Z06 on the adjustable Velcro® back strap. Imported.